You have just purchased your first new home. You paid the property taxes, mowed the lawn and decorated it to your exact specifications. You have finally created the American dream for yourself. Then bam, someone breaks into your home and wrecks everything that you have worked for in your life. This occurrence will leave you wishing that you had done more about your home security when you had the chance. We understand this issue, which is why we have been providing top-notch home security services to people in the McAlester area. We understand that protecting your home properly means you are protecting your family properly, something you can’t put a price on. 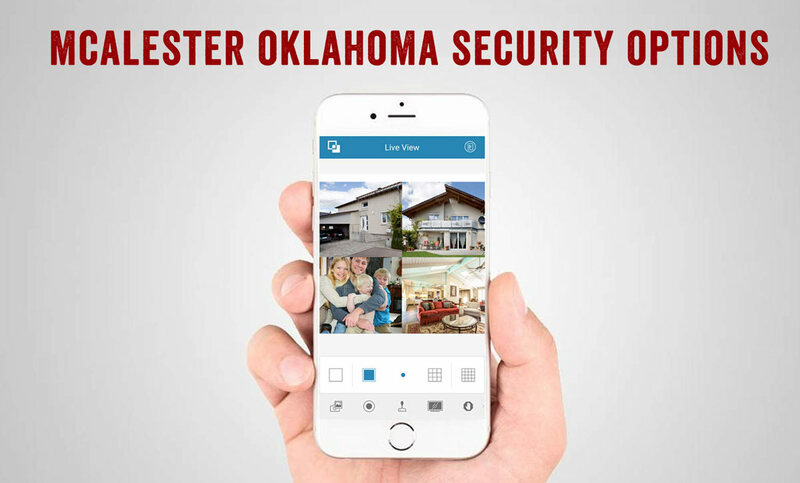 This is why we are so focused on making sure each new homeowner in the McAlester, Oklahoma area has properly secured home so they can go about their business each day without worry. We don’t just offer great technology, we have some of the best employees in the industry too. This is partly because of our training and partly because of the over 100 years of experience in the security industry that they have combined, meaning there no issue too big or too small that they can’t take care of. Each of our technicians undergoes ongoing training to ensure they are up to date with the latest technology and how it can help each of their different clients. If you are interested in improving your home security, contact us today. We will send a representative to your house. They will then come to your home and help you determine what the right membership level is for you. We can have your home security system up to date and installed in no time for a low monthly price. In McAlester, OK? We’ll Call You!